Betty Echols Stout, born 1930 in Chilhowie, Virginia, was the daughter of Mr. and Mrs. Gordon Echols. She graduated from Chilhowie High School, and attended Virginia Intermont College where she was in Student Government, a member of the Honor Council and the Phi Beta National Music Fraternity. She completed her B.S. Degree in Music Education at the University of Tennessee where she was a member of the Student Government Association, Phi Kappa Lambda, Phi Mu Sorority, the UT Usher Corp, and a varsity cheerleader. She taught music education in a Knox County school, later in Marion Virginia, and in Norfolk, Virginia. She was on the staff of Florida State and Furman Universities. For over 40 years she taught private piano in Greenville, South Carolina and Johnson City. 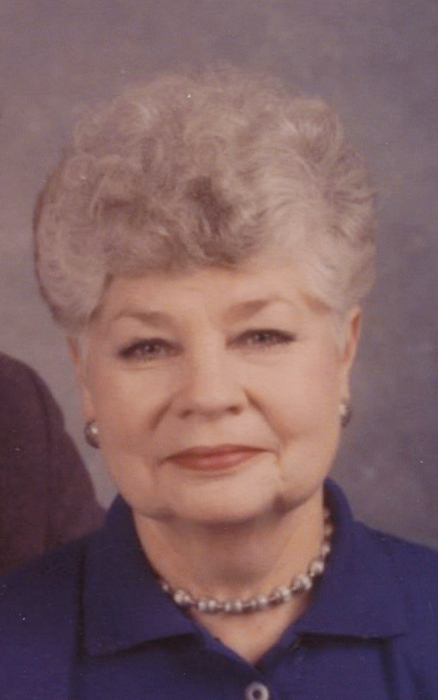 While in Johnson City, she was a member of the JC Women's Club, University Women's Club, Sweet Adelines, the National Music Teacher's Association, the ETSU Friends of Music Board, Campus Ministry Board, JC Symphony Guild, and JC Medical Center Hospital Auxiliary. As a member of First Presbyterian Church, she was a choir member for over 45 years and played hand bells part of that time. A beloved wife, mother, grandmother, and aunt, she was noted for her love of family, church, God, and music, and especially her quick wit which she never lost even while in poor health. She always had more love to give, adopting a daughter and son, both as infants, and welcoming into the family two nephews after their parents had died. She consistently kept the family tuned to the social graces by sending cards for many events and dates. She was preceded in death by her parents, a brother, William Gordon Echols, Jr., a nephew, Charles Echols, and a beloved friend of the family, Nannie Pickle. She is survived by her husband of 63 years, Dr. Dorman Stout, Jr., whom she met on a blind date, daughter, Jenny Benton of Johnson City, son Dorman Benton Stout, wife Lynn, and granddaughters Tara and Grace, all of Maryville, Tennessee, nephews Doug and Greg Janz of Johnson City, David Echols of Knoxville, Bill Echols of Los Angeles, California, a niece Madonna Hecker of Springfield, Virginia, cousin Nillah Cox of Sevierville, Tennessee, cousin-in-law Jeanette Grindsted of Seymour, Tennessee, and second cousin Jeanne Zucker of Johnson City. The family would like to thank caregivers Shannon Huffine, Bridget Jones, Tammy Backlund, Theresa Hayes, and Linda Feuchtenberger for devoted, compassionate care, Dr. Michael Grosserode and staff for medical service and guidance, Mooney's Pharmacy for dependable service, Laura Comeaux, RN and Ashley Elledge, RN and CNA Madison Taylor Rouse of Amedysis Hospice for excellent and compassionate care. All the following will take place on Tuesday, September 18: A viewing will be held without family present at Appalachian Funeral Home from 9:30-10:30a.m. A burial service will be at Monte Vista at 11:00 a.m. following the viewing. The family will receive friends during the hours of 5:30-7:15p.m in the Welcome Center of First Presbyterian Church. A celebration of life service will be conducted at 7:30p.m. in the sanctuary with former pastor Dr. Angus Shaw presiding. The family invites the following to serve as pallbearers; Steve Bader, Rick Beason, Jerry Cole, Larry Miller, Don Lockmiller, Odie Majors, Jim Payne, Harry Powell, Jim Surface, and as honorary pallbearers; members of the choir and the Mary Wood Discussion Class.